Are your nails short or damaged, but you don't want to sacrifice the glamorous look of long, salon-style nails? Or are you just feeling adventurous and want to try a more exciting look? Nothing boosts your confidence like beautiful nails, and we have a lot of options for you to achieve that flashy or elegant style you desire, even if your own nails are not up to snuff. We carry both gel and acrylic artificial nails for our Halifax clientele. Either type can be a little bit bold and sensational or more reserved and traditional. We carry both styles of artificial nails, so it comes down to your personal preference. Acrylics and Gels both look and feel great, but there are some differences that you should be aware of before you make your choice. 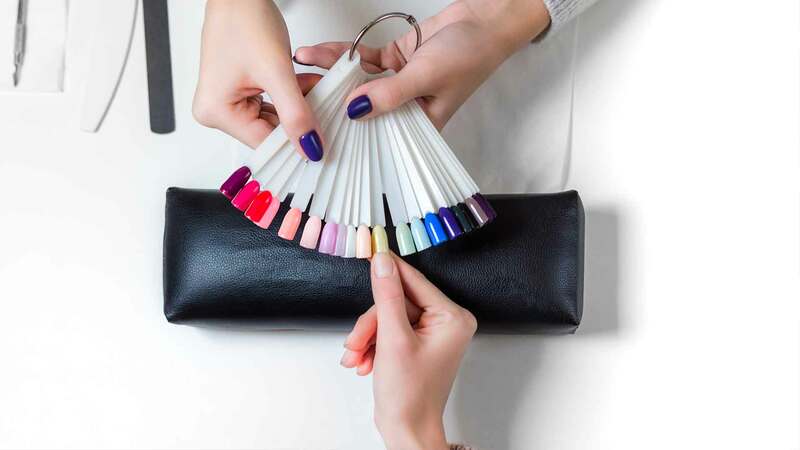 Acrylics are applied by gluing a shaped false nail to the tips of your nails, which we can then use as a canvas for coloring. Acrylics are a little easier on the pocketbook than Gel Nails, so they can be a better value for someone on a budget. Acrylics are very strong and resistant to damage, and if they do crack they are very easy to repair. Acrylic nails have chemical ingredients, so it is advised that pregnant women avoid using them. There is a strong odor while the nails are being applied, and some people find this unpleasant. Gel Nails are simply made of several layers of gel nail polish. Each layer must be cured and hardened by placing your nails under a UV lamp. Gel Nails are non-toxic, and safe for anyone to use. Gel Nails last longer than Acrylic Nails, and need to be filled less often as your nails grow out. Gel Nails are more flexible than Acrylics, which means that they can stand up to certain kinds of stresses that may crack an Acrylic Nail.